Make your way into these newly renovated apartments and appreciate the level of craftsmanship and detail in every room. Every home has a patio or balcony with views of the community and central heat and air conditioning. Each kitchen comes outfitted with modern appliances and an expansive breakfast bar that you can use as a dining area. Head outside of the apartment and take pleasure in any of the on-site amenities exclusive to residents of Fairways of Naperville. Sweat it out in the sauna, practice your overhand serve on the tennis courts or relax in the clubhouse with a cup of coffee. Feel the cool waters of the swimming pool on a warm sunny day, or enjoy a picnic by the barbecue area with close friends when you live at the Fairways of Naperville apartments. 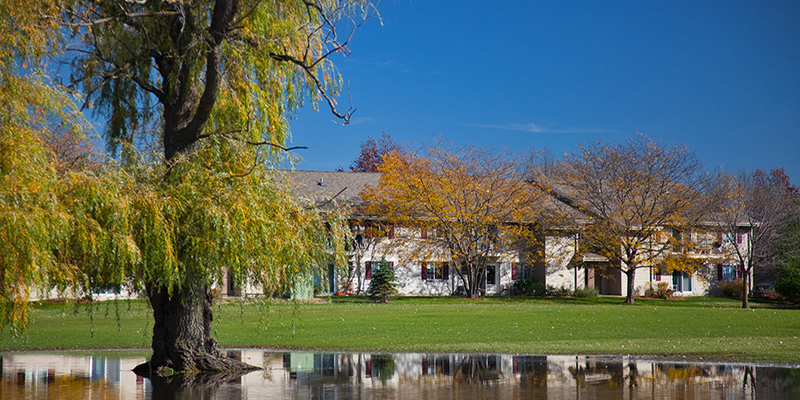 Situated on seventeen scenic acres of sprawling lawns, this community of one, two and three bedroom apartments in Naperville, IL places you in a convenient neighborhood with easy access to downtown Naperville and Chicago. Residents of Fairways of Naperville will uncover a collection of stylish floor plans and an amenity package with everything you need, from a fitness center to a demonstration kitchen. Contact the leasing center at Fairways of Naperville to reserve one of these charming Naperville apartments today. To schedule a visit to our community, click Go. Click Go to view our Floor Plans. Click Go for easy access to our Resident Portal. © Copyright 2019 Fairways of Naperville. All Rights Reserved.